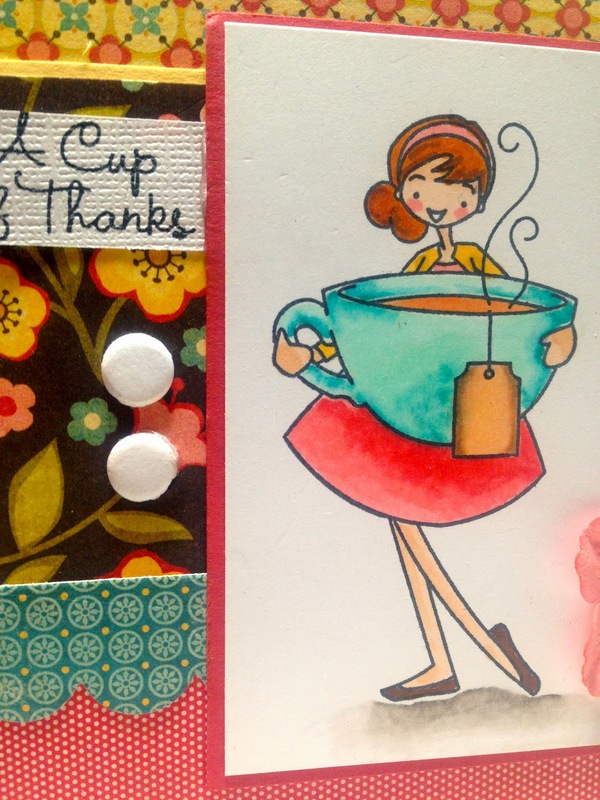 I have a cheerful Thank You card to share with you today! My image and sketch are from My Favorite Things. The sketch is MFTWSC80. The paper is My Mind's Eye Stella Rose. I added two paper dots and a Prima flower with a brad for embellishment. 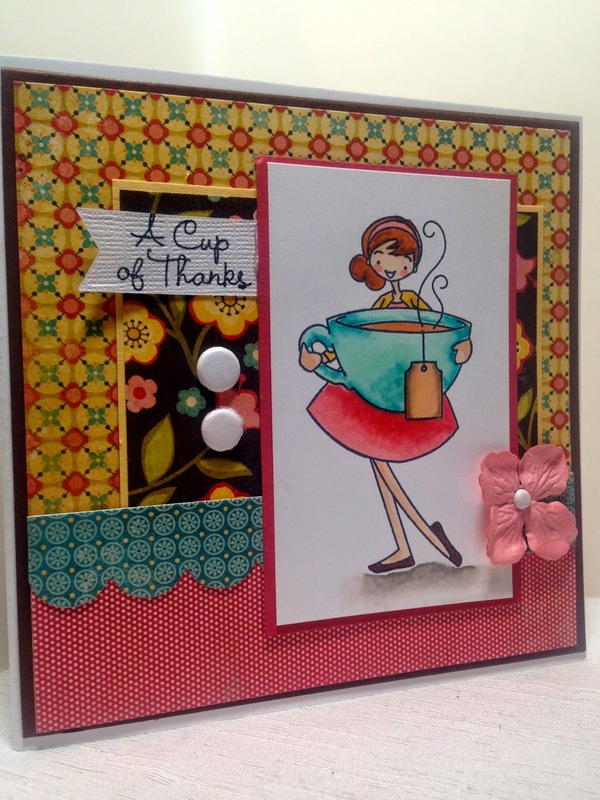 The sentiment tag and scalloped border were cut with an MFT die. Aw this is so cute! Love it! Such a fun card! I love the way you colored the cute image and great colors on the papers too! Superb card ! Your colouring is so WOW ! !